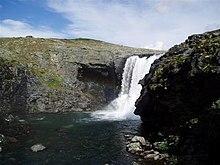 This is a list of notable waterfalls of the world sorted by continent, then country, then province, state or territory. 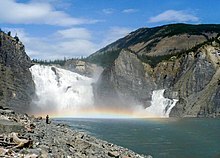 A waterfall is considered notable if it has an existing article specifically for it on Wikipedia, and it is at least 15 m (50 ft) high, or the falls have some historical significance based on multiple reliable references. Note: There is no standard way to measure the height or width of a waterfall. No ranking of waterfalls should be assumed because of the heights or widths provided in the list. Many numbers are estimated and measurements may be imprecise. 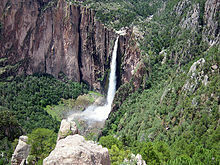 See additional lists of waterfalls by height, flow rate and type. 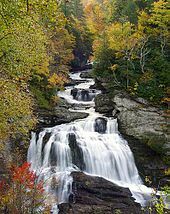 Nunobiki Falls – 120 m (390 ft) in four cascades, of great cultural significance, considered a meisho, or "famous site"
Wikimedia Commons has media related to Waterfalls. 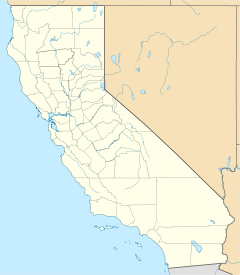 Wikivoyage has a travel guide for Waterfalls.